We are the premier Water Damage Honolulu company in Oahu because of our years of experience in water damage restoration. We are known throughout Oahu for providing the top water damage restoration services to residential and commercial properties. Our water damage restoration specialists are highly qualified and handpicked to be apart of our staff, so you know you are getting the best water damage professional when we step foot on your property. Our professionals can restore your home or business after water damage occurs, including restoring your wet carpet and cleaning your tile and grout. We are so good at what we do, we can get your property in Oahu back to it's original condition with our water damage services. An unexpected water damage emergency can be a stressful and potentially destructive situation for your home or business. Once you see the first signs of potential water damage, it's important to respond quickly in order to prevent flooding and water damage in other areas. We also understand that water damage emergency may occur at anytime, which is why our water damage restoration experts are available and on call 24 hours a day, 7 days a week. When you need 24 hour water damage services, you can count on our specialists to make you a priority, when you need it the most. If your home has experienced water damage in Oahu, then you'll need our water damage restoration services to restore it's original beauty. Our water damage professionals are knowledgeable and are the fastest responders in Oahu when it comes to your water damage needs. Not only do we have the best water damage professionals in Oahu, we also use state-of-the-art equipment to make for the most efficient water damage restoration services. With our professionals and top of the line equipment working hard to repair the water damage inside your home, you can always expect the best results. We are the best water damage company in Oahu not just because we have the best service, but we also have the best rates for your water damage restoration needs. When you contact one of our professionals, we'll be happy to give you a free estimate. Whether you need water damage repairs, water damage extraction, or water removal, we provide the best rates for the work that we provide. Call today to have our water damage restoration specialists assist you in anyway possible. Running a business already has enough demands and responsibilities that can be stressful for any manager or business owner. Why let an unexpected water emergency take your focus away from effectively running a business? When you contact our water damage company in Oahu, you don't have to! 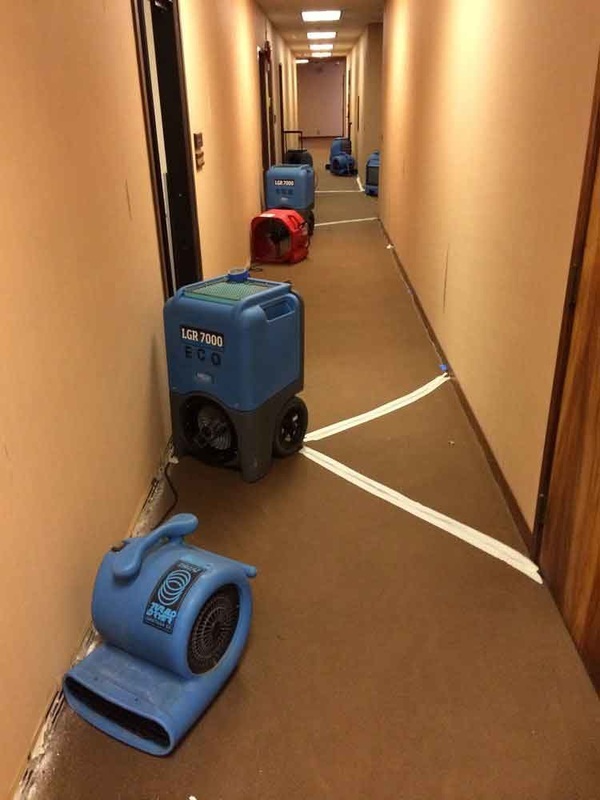 We are the premier water damage company for commercial properties because we understand how important it is for your business to operate at full strength. You can have peace of mind when you contact our water damage professionals as you wont have to experience any major set backs. Once you contact our water damage restoration specialists, we'll respond immediately by arriving on time and ready to work on your commercial building and property. Whether you experience water damage during the daytime or past working hours, our water damage company is available 24 hours a day to make sure your business is always operating the way it should be. Contact our 24 hour water damage specialists for the best commercial water damage restoration services in Oahu. Our water damage repair and cleanup in Oahu consists of first examining the home or business. We are quick to respond but we don't hurry the process because it's important to take the right precautionary steps for best results. The professionals at our water damage company in Oahu always deliver to our clients completed projects with accurate workmanship. With our years of experience and success with restoring countless homes or businesses, our clients do not have to questions whether their floors, carpets, upholstery or property is being taken care of. Unlike other water damage companies in Oahu, we pride ourselves in making sure our clients always have a complete, satisfying experience with our staff. Clients deserve the best when they hire a water damage repair business, and you can expect the best from us when choosing the top water damage company. Whatever your needs are, residential water damage or commercial water damage restoration, our professionals will be able to assist you unlike any other water damage specialists. We provide the best service with the best equipment at the best rates. Are you interested in how much it will cost for your water damage repairs? Contact one of our professionals and we'll be happy to give you a free estimate on what you need. Rest assured, our water damage technicians will begin working immediately to restore your home or business once you give us a call.